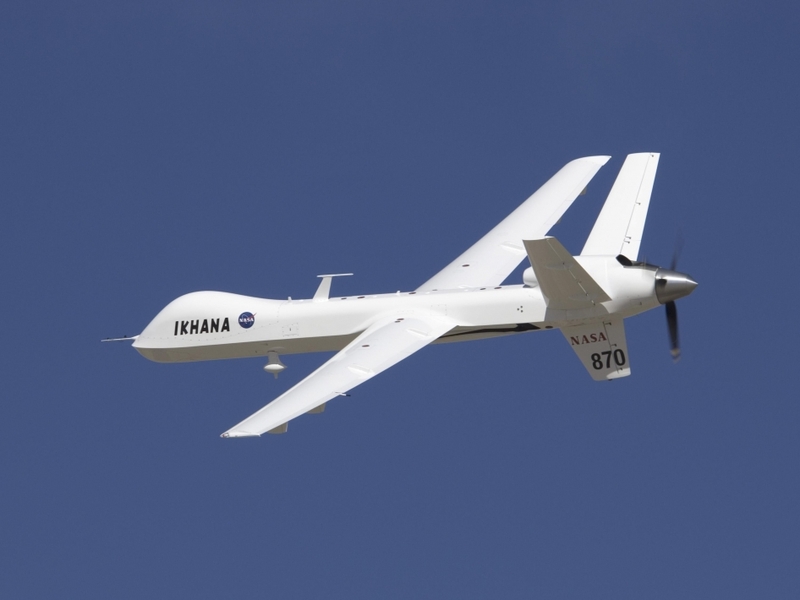 NASA has recently flown a large aircraft that is remotely-piloted unaccompanied in commercial airspace. It's called Ikhana and it flew through Class-A airspace where commercial airlines fly. Large, unmanned aircraft that are remotely piloted like Ikhana have required a safety chase aircraft as it travels through airspace used by commercial planes. Not so for Ikhana. NASA worked closely with the FAA for months to ensure safety and a successful maiden flight. It went off without a hitch and moves the US steps closer to normalizing unmanned aircraft operations in the commercial and private pilot airspace. This successful flight opens the doors to service roles like fighting forest fires and new emergency search and rescue operations. According to NASA test pilot Scott Howe, "We're flying with a suite of sophisticated technology that greatly enhances the safety capabilities of pilots flying big unmanned aircraft in the National Airspace System". NASA has called this historic flight a milestone for their Unmanned Aircraft Systems Integration in the National Aerospace Systems. The flight took off from Edwards Air Force base in California. It entered Class A airspace of commercial airlines at about 20,000 feet and Class E,at about 10,000 feet where general aviation pilots fly.